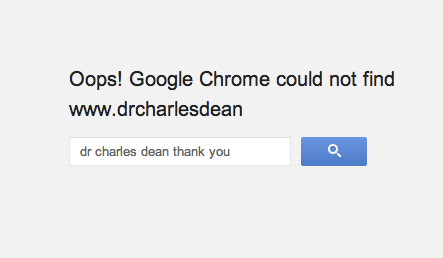 I have a website www.drcharlesdean.com. I can not get my custom Thank you page to redirect to my thank you page. I keep getting an erra message. I am able to replicate the issue you are having. I can see that the link itself is not working properly. Feel free to test my clone to check. Your form is working properly, it is just the thank you link you use is not working.